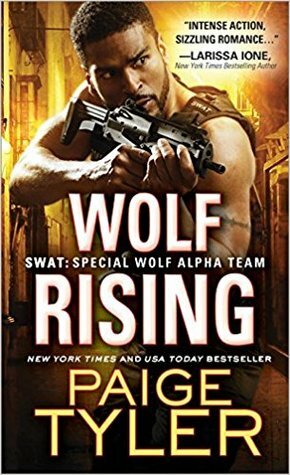 Once again we meet the werewolves of our SWAT team - and once again I found myself glued to my reader. Even when I just wanted to scroll through it to refresh my memory when I was writing this review, I was pulled in once more and ended up reading it - again. Gripping, captivating and full of suspense from the first page to the oast, this book was amazing! And Selena and Brooks, well, I loved those two! Oh, and there're brownies. You can never go wrong when there are brownies involved, right? Anyway - those two made me chuckle and laugh, swoon and I worried with them when things got rough and complicated. I loved learning more about the pack and the different kinds of werewolves and I loved learning more about "our" team and its members. A highly enjoyable book with a great story and some really amazing characters! I'm looking forward to the next book in this series and I can't wait to finally read it! Tick Tock by Jane Harvey-Berrick - On Nook and Kobo only for six days! 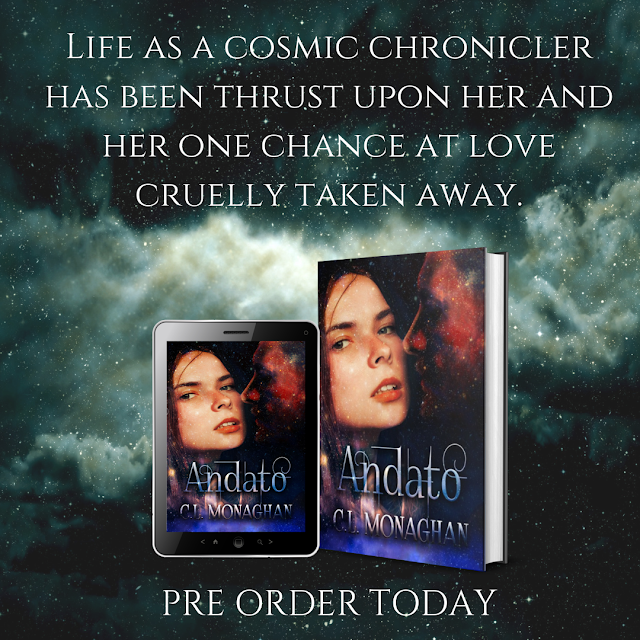 On Nook and Kobo: 25-31 October only !!! The rest of the werewolf pack might consider Aric Connor to be omniscient and destined to save the world when evil returns to claim it. But for the most part, fifteen-year-old Aric ignores the confirmations of his powers, taking everything in stride until he meets her. Celia Wird wasn’t supposed to awaken naked in the mountains of Colorado, not when she was just stalking her prey in a filthy alley several states away. She especially wasn’t supposed to meet Aric, the handsome werewolf who comes to her aid. As a supernatural tasked with protecting the earth, Aric sympathizes with Celia’s dangerous situation. He’s also struck by her beauty and kindness. Yet, as much as Aric welcomes Celia, her arrival isn’t a peaceful one. Dark forces stir in Celia’s presence, resolute on killing her. Aric and his inner beast are adamant about keeping Celia safe and with them. But there's a time and a place for love, and Aric and Celia might not survive long enough to find it. This book should definitely come with a warning sign at least a mile high - DON'T READ IN PUBLIC! I realized that too late though, I couldn't stop reading... I was sitting at a doctor's for some hours while waiting for a friend to come out of surgery and I giggled and snorted and chuckled my way through the book only to start crying because ...something...was so sweet and I became sentimental and then...I cried because I was upset and when everything seemed right, when just a teeny tiny wariness was left because that was wayyyy too easy wasn't it...I was devastated. Absolutely and completely. I haven't recovered yet. Seriously??? Things were alright, everything seemed fine and I still tried to work out how that was possible after everything else that happened and the things that had been revealed and - boom. That sentence. Celia and Aric were amazing together! 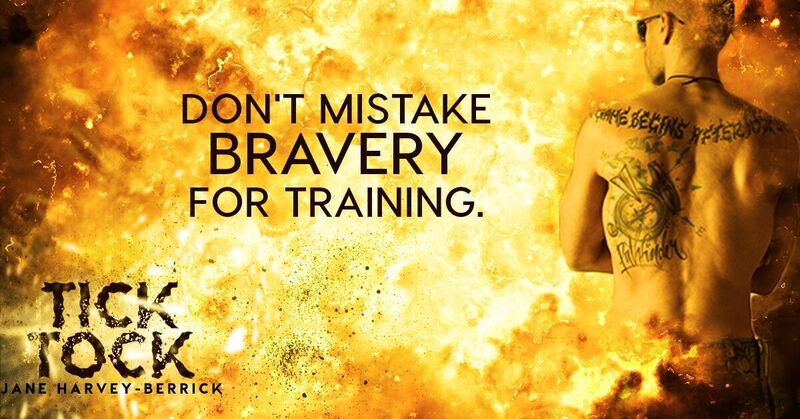 I loved Celia's toughness and that those two never played games. They didn't start singing love ballads at first sight but you simply know that they are meant for each other. Aric's parents are wonderful as well, I really loved the way they cared for her and for their son and his friends. You can always feel that they are alphas, that they are those who lead the pack but love and their son's happiness means everything to them and they are willing to sacrifice everything for him. They are open and welcoming and definitely someone you want to have in your corner because you just know that no matter what happens, they will keep you safe. Aric's friends are very unique as well. Liam made me laugh so hard sometimes with his inappropriate questions and his innocent and even less appropriate remarks and Gemini and his twin wolf had me worried for a while (longer) and of course, Koda - those guys are really great! It's that time again! 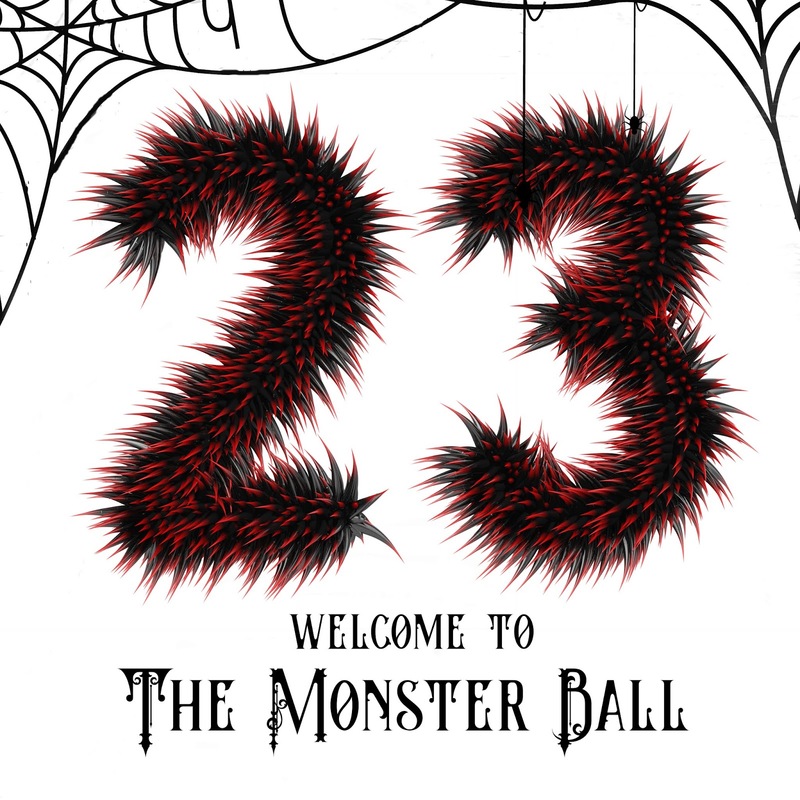 The Monster community is abuzz with whispers of the most anticipated party of the year. The deliciously exclusive event, has tongues wagging even amongst the who's who of the Monster community. It will once again be held at an undisclosed location on All Hallows Eve. 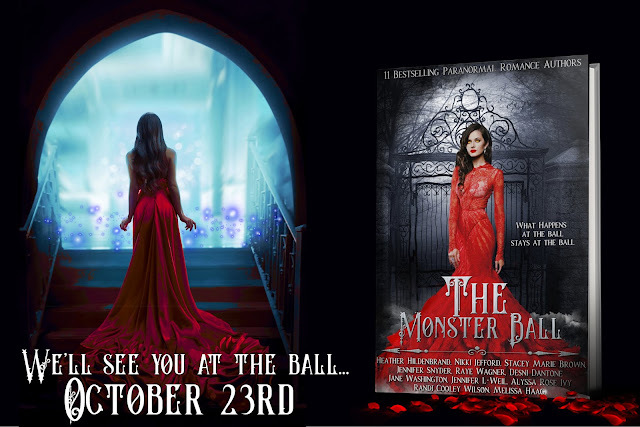 Don't worry all you underprivileged socialites, The Monster Ball isn't just for vampires, witches, and werewolves. Other creatures of the night have as much of a chance to attend. Watch for your ticket, but not in the mail. The silvery slip of parchment is said to appear in your hand by the light of the moon. Wünschen Sie sich auch manchmal ein Telefon mit Wählscheibe zurück? Leider kommen Sie um ein Smartphone nicht herum. 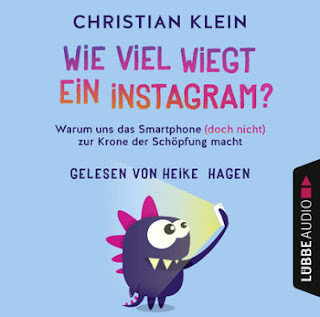 Und so teilt sich die bildschirmgebeugte Bevölkerung nicht länger in Männlein oder Weiblein, sondern Smartphone-Nutzer und Smartphone-Halter. Die einen dealen an der Online-Börse, laden YouTube-Videos hoch oder snapchatten mit Pamela Reif, die anderen suchen verzweifelt nach der Tastatur, mit der sie telefonieren können. Mit viel Humor und großer Gelassenheit erzählt Christian Klein von Sinn und Unsinn des Smartphones in unserer Gesellschaft - und warum früher trotzdem nicht alles besser war. Hm, vielleicht liegt es am Buch selbst oder vielleicht auch tatsächlich an Siris Stimme, die dann doch etwas zu trocken, zu nüchtern ist und zu sehr einfach vorliest, aber so ganz werde ich mit dem Buch nicht warm. Es ist eigentlich, glaube ich, nett geschrieben und hat manche ganz witzige Stellen mit einem recht trockenen Humor, aber irgendwie verpufft der Humor und geht in dem doch eher eintönigen Erzählen unter. Ich ertappte mich manches Mal zwar tatsächlich dabei, dass ich schmunzelnd nickte, weil mir doch manches von dem, was da so erzählt wurde, sehr bekannt vorkam oder den heutigen Smartphone-Wahn sehr treffend charakterisierte (an dem ich übrigens auch aktiv teilnehme, man darf aber ja auch gerne immer über sich selbst schmunzeln), aber es fiel mir insgesamt schwer, dem Buch zu folgen, obwohl ich viel und gerne Hörbücher höre, so dass ich nicht einmal genau sagen kann, wie ich es letztlich denn finde. Vermutlich würde ich das Buch selbst wirklich ganz witzig finden, aber momentan habe ich dieses Hörbuch doch noch zu sehr im Ohr, um mich von dem recht ...getragenen... Ton schon frei machen zu können, aber ich könnte mir vorstellen, dass ich in nicht zu naher Zukunft dem Buch gegenüber doch noch wieder aufgeschlossener wäre, sicher bin ich mir allerdings nicht. Nicht falsch verstehen, die Stimme selbst ist angenehm, aber es ist doch zu wenig belebt gelesen und erinnert mich stark an Referate, deren Referenten sich krampfhaft an ihren Notizen festklammern statt frei zu sprechen. 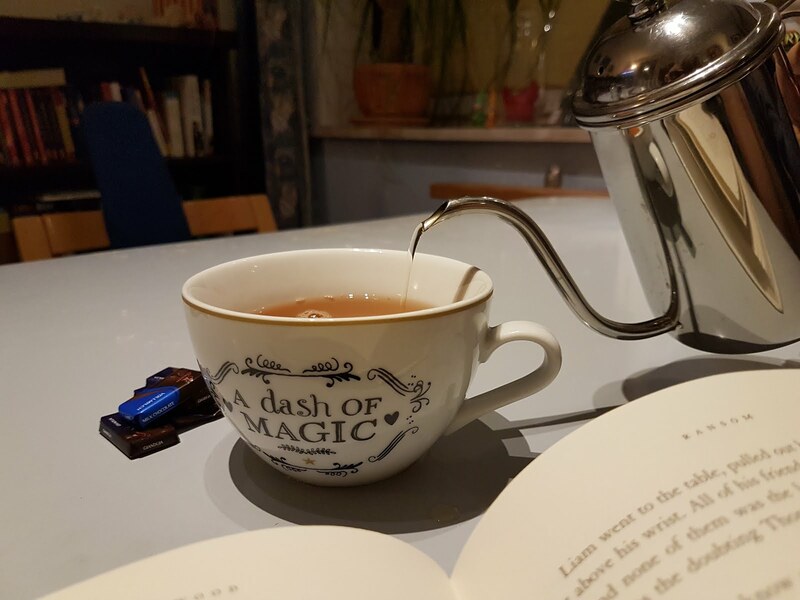 Hier habe ich durchgehend das Gefühl zu sehen, wie die Sprecherin vor ihrem Buch sitzt und vorliest. Das ist zwar ein sehr idyllisches Bild, sorgt aber leider nicht unbedingt für ein kurzweiliges Hörvergnügen. Insgesamt komme ich auf sehr schwache drei Sterne für diese Hörbuchausgabe. The war years are behind them. The future is before them. Lady Charlotte Cavendish is still the spirited girl who tried to elope in the name of love. That dream was thwarted by her father who trapped her into a loveless, passionless marriage. But now widowed, Charlotte is free to reenter the giddy world of the ton—and pursue her desires. For hardly your typical widow, she remains innocent to the pleasures of the flesh. Yet her life is finally her own, and she intends to keep it that way. Nash, the twelfth Earl of Wrotham, is beguiled by Charlotte at first sight—and the feeling is mutual. When he receives her intriguing invitation to a house party, the marriage-minded lord plans to further their acquaintance. But even he cannot sway her aversion to matrimony, and only with great restraint does he resist her most tempting offer. For unbeknownst to Charlotte, the misadventures of the past are revisiting them both, and bedding her could cost him everything—or give him everything he ever wanted. The story was nice but a bit too much drawn out. Coincidences galore and some things happening that didn't fit with the time and the role of women in those times - despite that, I enjoyed reading the book because I liked the hero and the heroine even though I wanted to kick them once or twice (or even more often) to make them see reason and to talk to each other. On the whole, the story wasn't really believable but it was nice nonetheless. 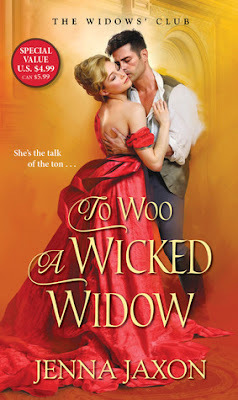 Considering the fact that I liked the other books by the author I will definitely read future books by her and I'm really looking forward to reading them even if the Wicked Widow couldn't fully captivate and convince me. A delicious love story about a bridal designer showing her new collection in the Alps during the magical week of Christmas where hijinx of the heart ensue. It's the day after Christmas, and Felicity Grant is at a gorgeous ski chalet in St. Moritz for the biggest fashion show of her career. Felicity is a rising star on the bridal design scene, and this is her best collection yet. But when her boyfriend gives her a spa day instead of a diamond ring for Christmas, she has to face the possibility that she may never walk down the aisle in one of her own stunning designs. And then there's Nell, the top model headlining Felicity's show. Nell is planning her dream wedding to her wonderful fiance with one catch: her divorced parents can't stand each other and threaten to no-show if the other is there. Add to that Felicity's race against the clock to create a special gown for a prestigious bridal salon, and what both girls need is a Christmas miracle. What better place to find one than in the Swiss Alps with its dark forests and sparkling vistas? But for Felicity it's hard to recognize a miracle even when it's right in front of her, and for Nell one miracle might not be enough to fix the past. Can dreams really come true or is that the stuff of Swiss fairytales? 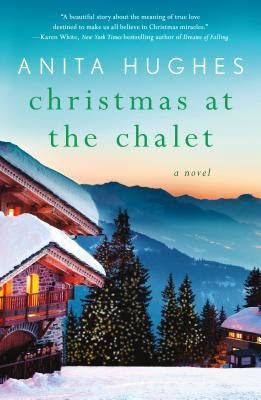 Anita Hughes's Christmas at the Chalet is full of romance, gorgeous gowns, and the stunning scenery of the Swiss Alps. It's about love and forgiveness, and creating one's own miracles during the most festive time of year. I must admit that the story couldn*t really convince me. There was simply too much going on at the same time. If it had just been Nell's story, I might have been more satisfied but Felicity and her story, well. I couldn't understand the way she behaved when it came to Gabriel, it felt as if she was taking advantage of him and a bit more caution would have been nice as well, at least once she had realized that she was watched. Jumping back and forth and jumping from Nell and the story of her parents and Felicity and Adam now and then and everything else going on, it never really felt intense and I wasn't pulled into the story or felt with the characters. I felt like I was watching from the outside, polite interest and all but never really involved. Apart from some minor details, the story seemed rather predictable. Even in the end, it couldn't convince me because I had been waiting for this development and the only thing I was curious about was how Felicity would justify her decisions. It all seemed a bit forced, actually and a bit too much of everything. Too many coincidences, too many problems (okay, scratch that, that's probably the most believable part), too many minor storylines that never went deep enough and left me wanting more. More feelings, more depth, more....well, more of a story. He's nothing but a Player - isn't he? Oh my goodness! I didn't like this book ...I freaking loved it! 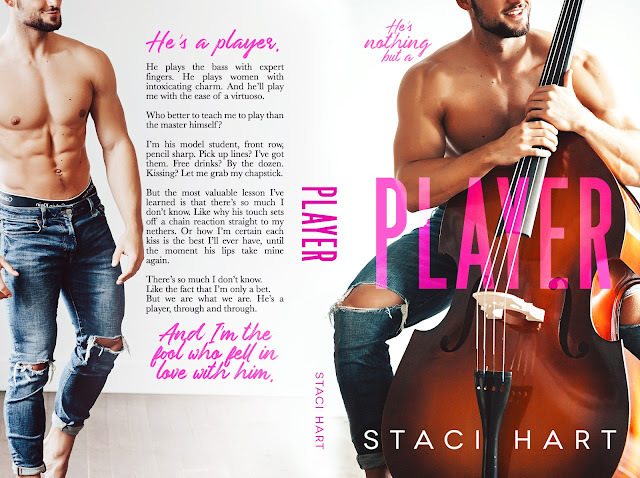 Yes, I loved the other books by Staci Hart that I've read but this one - wow. This one simply blew my mind. This book is not just a wonderful love story that made me laugh and cry but it's also a celebration of passion, love and music. Always of music and of love and of the fact that those two go hand in hand. If you are someone like Val or Sam, music is love in its purest form. 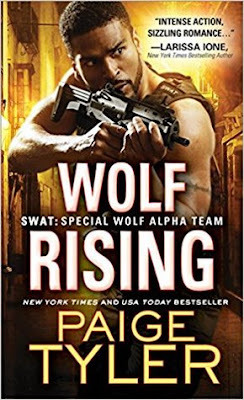 Reading about Val and her love for music, for dancing - and her wolf pack, as in her four older (and very protective) brothers and the rest of the amazing Bolivars made me happy. Every page you read, every step she takes, every song she dances to, radiates so much happiness, you simply can't help but love Valentina with all your heart. And so can't Sam either, no matter how hard he tries to convince himself (and how much he made me laugh in the process). He falls for her. Hard. And completely because that's just the way he is. Those two complete each other and they love each other and those around them with abandon, passionately and without reserve - just as much as they love music. Oh, and well, with those cheesy pick-up lines of hers? He never stood a chance anyway, right? I really loved (even though it hurt me to see them hurt) how Sam learned - the hard way, I might add - that Val doesn't need rescuing. She is strong in her own way even though she doesn't seem to be at first glance. Having been hurt by others shaming her for her body, having been sexualized and ridiculed early on, she has to learn that she is beautiful and to trust herself. Even more, she has to learn to trust Sam. 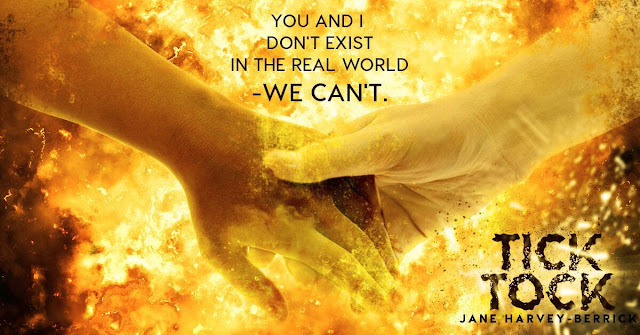 Sure, there is trouble in paradise, especially when Sam's friend Ian shows his true colors and threatens to destroy everything but well, true love and all, right. I can't say whether I loved the story most or the beautiful way it was written. The story itself was like a beautiful song, carrying the reader away with its celebration of love and music. A book that was not only beautiful to read but that also made me happy. I can't wait for the print edition to come out because this is definitely one of those books that I have to have on my shelf as well as on my kindle! And believe me - it's amazing! Okay, subtle - she is not...not at all. But she is absolutely charming and sweet and made me smile and giggle a lot. I'm talking about Evie, the little matchmaking daughter of Rose Creek's sheriff Remy Fontenot. 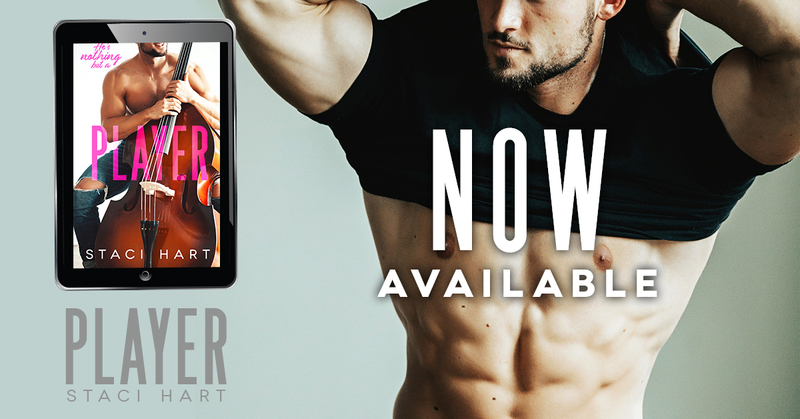 When Remy got kissed by a fascinating stranger in a bar, he didn't expect to find her in his daughter's classroom back in Rose Creek after having searched unsuccessfully for her in New Orleans! 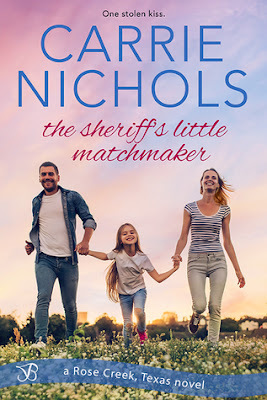 To date the father of a student doesn't sound like a good idea, especially as this is also another lawman, Being a policeman's widow, Sasha never wants to feel that fear and that pain again that go along with loving (and losing) a lawman. But sometimes the brain has different ideas than the heart and Remy proves to be rather irresistible, especially when he knows what he wants and goes after it. 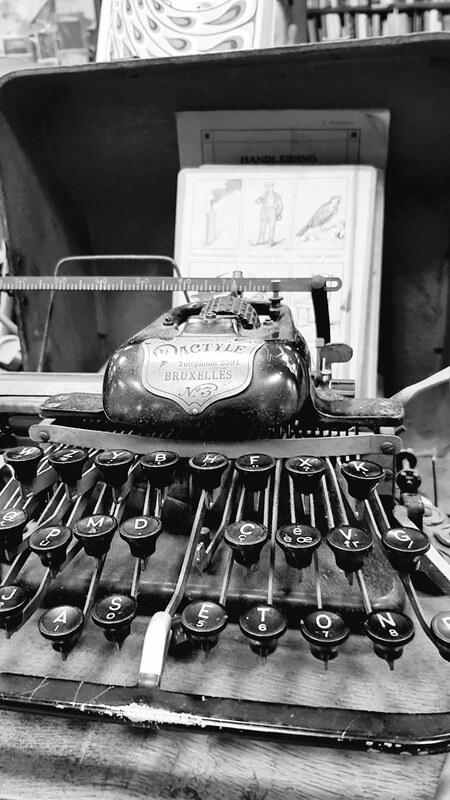 Smalltown life and the charm of the Cajun, make this novel special. I loved Remy and Evie, and I loved Sasha but I also fell in love with Remy's endearments and the images that the story brought up of the bayou and of life in the South in general. I found myself googling New Orleans and Louisianna and making plans to visit them one day because it just sounded amazing and special and different. In a good way, of course. 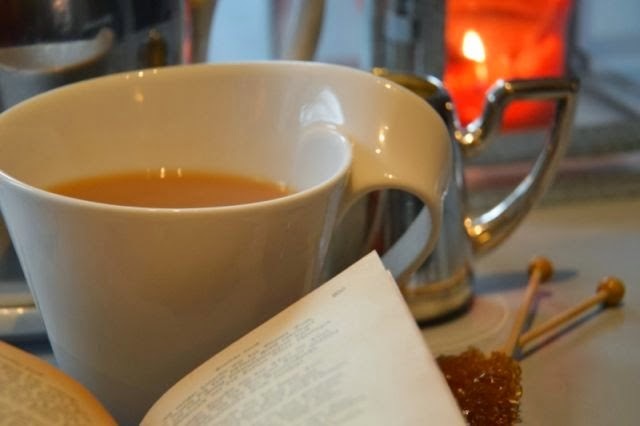 A wonderful feel-good novel for cold winter days and stormy days in autumn...or anytime and anywhere. I really enjoyed reading it. This book is so amazing! Just one more week and it'll go live! Trust me, you are in for a treat!